The prescience of those above quotes have really come to light in the last few days. 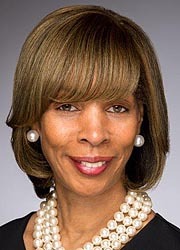 By this point, everybody knows that Baltimore Mayor Catherine Pugh entered into an agreement with the University of Maryland Medical System to buy 100,000 copies of her self-published book for $500,000. We know that Pugh entered into this agreement while citing on the UMMS Board of Directors. We know that Pugh failed to report this agreement on seven years worth of state ethics forms dating back to her time as a State Senator. We now know that thousands of the books wound up in a Baltimore City School warehouse, that the school system never wanted them, and they have no accounting of where the books actually went. And we know that her fellow members of the Board of Directors, as well as the Hospital System CEO who ostensibly reported to her as a Director, donated vast sums of cash to her Mayoral campaign. This entire sad saga has been a clean, concise version of the Maryland Democratic Party’s beloved Culture of Corruption. What Mayor Pugh has done, at least in terms of finances. far exceeds the amount that former Mayor Sheila Dixon pocketed through the gift card scandal that forced her to resign from office in disgrace. What Pugh’s actions really bring to mind is the scandal that brought down former U.S. House Speaker Jim Wright, who was forced out of office in 1989 for a scandal involving bulk purchases of his book. There’s no good way out of this for Baltimore City. They once again have a mayor in office who has shown serious ethical lapses and who found a way to enrich herself at taxpayer expense. A mayor who knowingly filed seven years worth of ethics reports that did not show the true nature of her business arrangements. A mayor who appears to have been more concerned with making a profit than she was making a difference for Baltimore City. How can any city resident of any member of city government trust the Mayor now that all of this is known? Obviously, there are problems up and down city government. The next man up would be City Council President Jack Young, who’s got some of his own problems. A lot of the city’s problems are related to the Democrats 50-year war on Baltimore City and the ineffective (at best) government that it has wrought. But the city’s failure to produce effective self-governance does not mean that somebody with Catherine Pugh’s baggage should stay in office any longer. The city and yes the state needs Baltimore to start creating a political envrionment that punishes corruption instead of rewarding it. The revelation of Catherine Pugh’s book scandal has shown that she does not have the judgment or trustworthiness to lead city government. For that reason, Catherine Pugh should resign as Mayor of Baltimore immediately.